Share the post "Quick plays: TAMI, ATLAS, LUNA KISS"
Tami (Tami Jones Andrews) is an American singer who debuted on the Nashville back in the 1990′s, however major life changing events came along, which Tami channels into her singing on this her debut album. 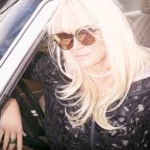 The album is produced by Bobby Braddock (Tammy Wynette, Willie Nelson, George Jones), which gives you some indication that this will be a mainly country based album, although there are some pleasant musical twists and turns along the way. The most recognisable song for most will be the Cure’s ‘Lovesong’, subsequently covered by Adele amongst others. A heartfelt vocal makes this one of the album stand outs. Two Joe Bonamassa songs feature on here, ‘Dustbowl’ and ‘Bridge To Better Days’, a chance for Tami to highlight her blues singing. The musicianship is top draw as you’d expect given the name producer and the fact it was recorded in Nashville. Just when you think you have the measure of the album, up pops ‘Sugar Shack’, a Beth Hart song, Tami goes for a 70′s disco feel backed by a modern dance mix. In fact this song has already enjoyed success on the Billboard dance charts. Keeping in things in the past, there is a lovely 60′s soul/brass backing on ‘The River’s Invitation’. Atlas are a young band in bother band members’ ages and the band itself, which only formed last year. The line-up is James Thorley (keyboards, programming, percussion), John Moss (lead guitars), Howie Little (lead guitars), Chris Redfearn (bass) and Craig Wells (lead vocals). Sam Millar of Bigfoot also helps out on backing vocals throughout the album. 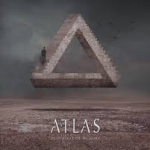 Atlas may be signed to a AOR/melodic rock label, however they have a real metal bite to some songs such as ‘Bad Habit’, which comes over like a shorter Dream Theater song. Atlas’s AOR side shines through on ‘Breathe Me In’ and ’Flesh And Blood’ – the latter reminiscent of Vega. I don’t know what the debut album from Luna Kiss sounded like but the Coventry based band have spent the last seven years finding and creating their new sound and now regard latest album “Following Shadows” as their debut. Surely then, it would have been better to start again with a new name and turn your back on the past? But no, Luna Kiss have forged ahead and created an album that is almost modern prog lite, the kind of thing that Muse have had massive commercial success with- oh and there it is, the seed is now in your mind that they changed their sound to gain success, they wouldn’t be the first band to go down that route, and they sure as hell won’t be the last. “Welcome To The Circus” is the full length debut from Saints of Sin, and is not at all what I was expecting. What I thought I was about to hear was a sleazy rock album, what you actually get is a well put together mix of AOR, melodic rock and touches of late ‘80’s US rock, and by that I mean big guitars, big BV’s, hooks and choruses aplenty- and all from a five piece from the south coast of England. Frontman Rui Brito has a vocal style that is not dissimilar to that of Myles Kennedy at times, and this plays out well over the musicality of a band that are younger then most of the albums that this one reminds me of. I would suggest that you head straight to “21 Shots”, “One Last Time”, “Running”, “After Dark” and “Wasted Nights” and play them very loudly, then start at the beginning and play the whole album again. Once you have done that you will be hooked. Had Hungryheart released their self-titled debut album back in the heady days of the late ‘80’s then there is a fair chance that it would have received a fairly warm reception. When they released the album in 2008, the band’s native Italy was going through somewhat of a Melodic rock revival and so on to 2018 and we get a ten-year anniversary re-issue. From the off there is no getting away from the fact that this is pure early to mid-Eighties Bon Jovi sounding, and that 80’s feel carries throughout the albums original 11 tracks. As well as Bon Jovi, the likes of Mr Big, and even Europe come to mind when listen to “Hungryheart”, in particular “Innocent Tears” reminds me of early 90’s Europe. There is, of course, the obligatory ballad in “Hang On To Me” and the original album closes with a couple of strong tracks in “It Takes Two” and “Gina”. So, what of the bonus tracks? Well, complete with a change of rhythm section we get a 2018 version of “River Of Soul”, which I actually prefer to the original, and an acoustic rendition of “The Only One”. Say what you like about Dee Snider but the man is one hell of an front man. New live album “S.M.F- Live in The USA” was recorded back in 1995 and has an energy running through it that does not let up from start to finish. As you would imagine, the 16 song set is heavy on Twisted Sister material with his solo band smashing their way through the likes of “Stay Hungry”. “I Am (I’m Me)”, “I Wanna Rock”, “We’re Not Gonna Take It” and “You Can’t Stop Rock n Roll”. There is also a medley of songs in the middle of the set that keeps the momentum flowing nicely and then it is heads down to the finish, that said Snider still enjoys a bit of banter between songs, and boy does he like a bit of in between banter. This entry was posted in ALBUM REVIEWS, ALBUM REVIEWS (Mobile), All Posts, Quick Plays and tagged albums, alternative, AOR, Atlas, blues, country, Dee Snider, disco, Hungryheart, indie rock, Joe Bonamassa, live album, Luna Kiss, melodic, melodic rock, review, Saints Of Sin, Tami, Twisted Sister. Bookmark the permalink.